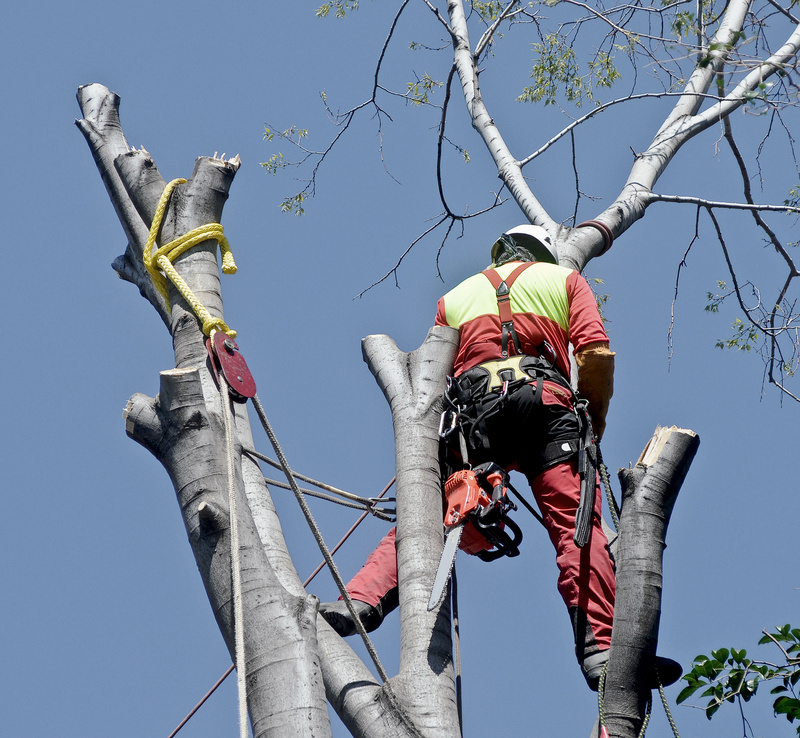 Tree trimming performed on an as needed basis has many benefits to the health of your trees, turf, family and home. As a general rule of thumb when trimming, size reduction should not exceed one-third of the size of the tree. Crown elevation is a beneficial step in allowing increased sunlight and oxygen to the turf. This can be especially important for bare or scarce areas of turf immediately beneath trees. With most species of hardwood trees, limbs growing toward the ground should be removed from the tree for health reasons. These branches are likely growing downwards due to competition for sunlight absorption at the canopy. In certain situations, hardwood trees require increased airflow, oxygen, and sunlight. Thinning or trimming of limbs, starting with broken or damaged ones, may be required to achieve the appropriate breathing room the tree needs to stay healthy. In most situations, hazardous limbs leaning toward or over your home should be removed to prevent possible future damage to your home or injury to your family and guests.